President Donald Trump, like many Americans, woke up this morning and checked up on what went down at the 91st Oscars award ceremony. 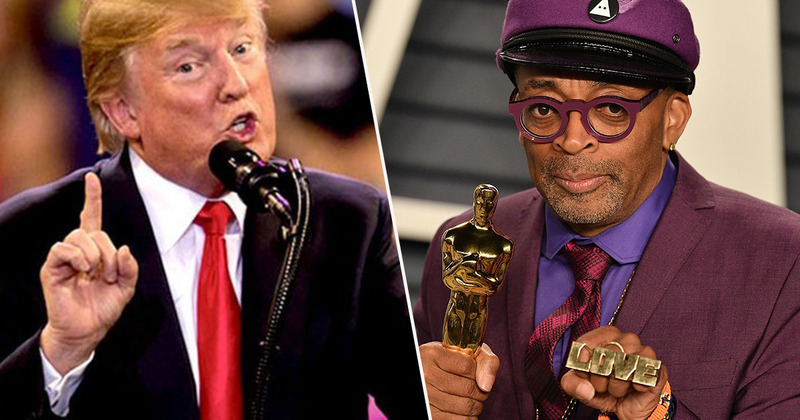 But, unlike a lot of Film Twitter, Donald Trump wasn’t all that happy with the turn out – particularly when it came to Spike Lee, the director of BlacKkKlansman, and what he said in his acceptance speech after being awarded a gong for Best Adapted Screenplay. Lee, a cinematic heavyweight, requested the kind folk producing the Academy’s glittering ceremony ‘not turn that motherfucking clock on’ before embarking on an inspiring – if a little long – speech. The 2020 presidential election is around the corner. Let’s all mobilize. Let’s all be on the right side of history. His win – and his speech – was met with rapturous applause both in the Dolby Theatre in Los Angeles and courtesy of the Twitter Jury watching from home. None was more excited about Lee’s success than Samuel L. Jackson, who presented his mate with the iconic statue. Turns out the POTUS wan’t a fan, according to his early morning Twitter tirade condemning Lee’s words and accusing him of ‘a racist hit on your President’. Be nice if Spike Lee could read his notes, or better yet not have to use notes at all, when doing his racist hit on your President, who has done more for African Americans (Criminal Justice Reform, Lowest Unemployment numbers in History, Tax Cuts, etc) than almost any other Pres! This ever-politicised socioeconomic debate aside, it’s laughable to see a guy who had to hold a list of notes on how to display human empathy to Marjory Stoneman Douglas shooting victims advise another guy who researched and wrote an historic biopic for which the screenplay won an Oscar to ‘read his notes’. To be honest, an attempt to call Spike Lee racist by a powerful product of white privileged nepotism who runs the so-called Free World and once called a group of Neo-Nazis ‘very fine people‘ is stranger than fiction. Can’t wait to see who’ll play Spike in the biopic. Oscar buzz already?